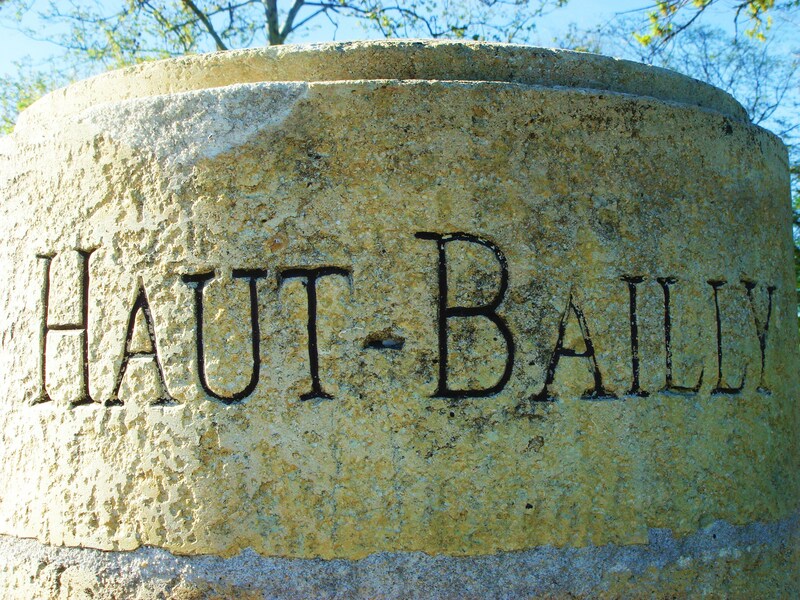 Château Haut-Bailly is a great estate that is now fabulously on the up, in terms of quality and in terms of price. This property was bought in 1998 by Robert Wilmers and much investment has been made. The vineyard is situated in a single bloc on sandy gravel soil. Second wine here is La Parde de Haut-Bailly. The wines are bold and pretty tannic in their youth. Of the recent vintages, 2009 is very strong, and 2010 is one of the most magnificent wines of the vintage. Vineyard/Terroir: 28 hectares planted on sandy gravel with 65% Cabernet Sauvignon, 25% Merlot and 10% Cabernet Franc. Winemaking/Elévage: Aged in barrel, 50% of which are new each vintage. 2009 Deep and saturated looking; cream and blackcurrant, ripe and lifted; deep and concentrated palate; mocha and chocolate tones too; this is dense and deep winemaking; much more settled and complete than when stated en primeur [as you’d expect]. Very deep, ripe but not overdone. Powerful stuff. 96+/100 MW Institute Nov ’13 [Earlier] Deep and tight to rim; concentrated colour; quite deep fruit and intensity here; slightly dumb but sense of ripeness; opens up in the glass a little; quite polished palate but lots of extract here; tannins quite dry; chewy; lots of tannin. Long hall wine here. Tannic. Needs to settle, at present extracted and tannic. If settles 90-92?/100. Tasted 31st March 2010 UGC Primeur tastings. 2008 Deep at centre; earthy blackcurrants; some leaf, spices and chocolate; attractive with some complexity; spicy blackcurrant tones on the palate – captures the vintage nicely; good acid, in fact grippier and more obviously structured than Malartic-Lagraviere and Pape Clément. More traditional styled and longer term. 92+ MW Institute Nov ’12 [Earlier] Mid red, dark at core; deep nose, some chocolate but a bit brooding; palate soft and full, lush with lots and lots of extract, layers. Tannins too in abundance. Quite dry finish. Should come round but long haul here. Pretty bold and extracted style. 90+/100 UGC Oct ’10. 2007 Deepish colour; very animally and lifted; almost sweet and peaty with a mineral fatness beneath; some sour notes at the edge of the palate and feels a bit mean. Hmm – disappointing effort on this tasting even in the context of the vintage. 86/100 MW Institute Nov ’14 [Earlier] Mid red; good density; creamy on the nose; attractive; palate mid-weight; layered and good depth with chocolate and earthy notes; attractive layered wine. Good. 86-88/100 Oct ’09 UGC London tastings.